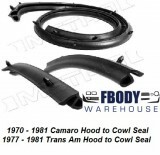 New replacement rear quarter panel mounted side marker light and base for 70-81 Trans Am / Firebird. New replacement unit is side specific, so please use drop down menu box to select as a pair or side needed. Great fit.